When the boughs are yellow and sere? At the falling of the year? Child! can I tell where the garlands go? 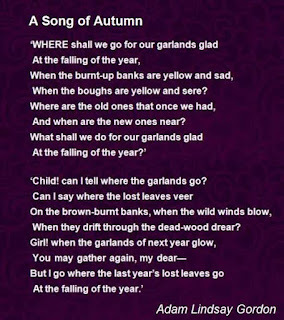 At the falling of the year.